This room is the site of spectacular flower shows each year. 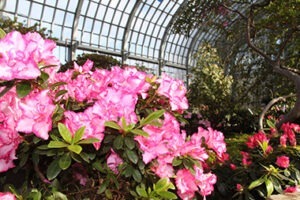 Much of the plant material displayed in the shows is grown at the Conservatory. The original 1908 layout of the room was restored following the 2011 hailstorm, and includes the large central ellipse that was designed as the feature display for annual flower shows- the Winter Holiday Show and the Spring Flower Show. This room was one of the worst hit during the 2011 hailstorm, as every pane of glass in its roof had to be replaced. 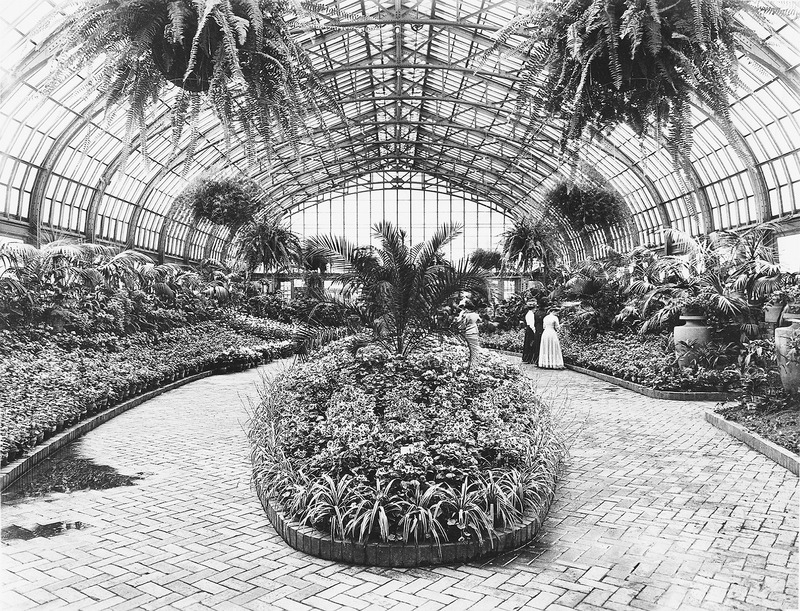 During the reglazing (reconstruction of the glass roof), all plants were removed from this room and the existing infrastructure and pathways were cleared. Once the roof was completed, the Chicago Park District redesigned the space to bring it back to Jensen’s original design. This includes a large open space in the middle, with a designated tiled ellipse in the center of the room as an optional center flower bed. During flower shows this space is filled and during the summer it is left open to accommodate weddings and other special events. Despite its many transformations, the Showhouse has a few plants which tend to stick around. Included in this small group is Jasmine. 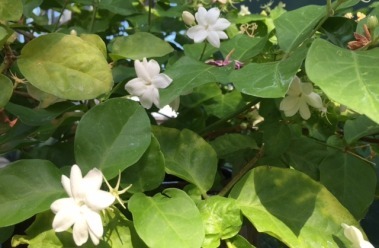 During the summer months this room is filled with an intoxicating scent which largely due to the small, but potent Jasmine flowers. See if you can follow your nose to find the multiple varieties located within this perfumed space. This somewhat magical looking plant can be found on the east and west side of the Show House. 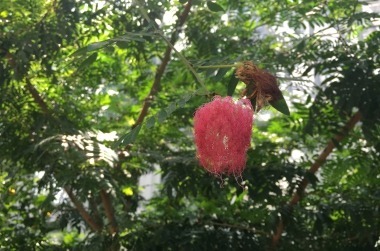 With fuchsia, fluffy flowers, this tree stands out amongst the plants, and reminds many visitors of Dr. Seuss’ book, The Lorax.